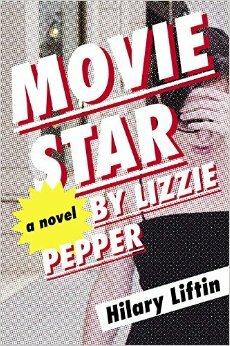 Movie Star by Lizzie Pepper…by Hilary Liftin. That’s a mouthful, huh? Upon further inspection you’ll realize that Lizzie Pepper is a fictional movie star, but the novel is written as a faux tell-all by the character. The cover jokes that the novel is “ghostwritten” by Liftin, but she is truly the only author. I started the book when I needed a reprieve from the heaviness of the historical fiction I’d been reading. I expected it to be a typical, superficial beach read. And for the first half of the book, that seemed to ring true. Lizzie Pepper is a B-list movie star who somehow falls into the arms of Hollywood’s most sought-after A-lister, Rob Mars. Their whirlwind romance takes place on private islands and private jets. In fact, I wasn’t planning on reviewing it at all, because it was one of those books that isn’t necessarily bad in that it kept my interest but it wasn’t exactly good, either. The writing seemed to skim the surface rather than delve into any of the characters or events at great length, and parts seemed quite redundant. In the second half, though, I was majorly sucked in. The novel turned from a mindless romance to a pretty dark drama. It turns out that Mars is part of an exclusive Hollywood group that walks like a cult and talks like a cult, but denies that it is a cult. Scientology, anyone?! The organization is called “One Cell” and is known as a “Studio” as opposed to a church, but the author clearly took a page out of Leah Remini’s book. In fact, several things about Mars and Pepper seem kind of Tom Cruise/Katie Holmes-y. As the novel progresses and Lizzie gets sucked into One Cell, she starts to realize that she may be in too deep. The ending was actually giving me anxiety as I read it because I felt like the Scientologists – uh, I mean One Cells – were watching me. I don’t want to give any more away – I’ll let you read for yourself. But I will say that if you’re into celebrity romances with a creepy twist, this is the book for you. I know I am.